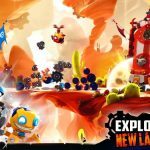 Badland Brawl is Frogmind’s new real-time multiplayer brawler, and as we explained last time, your objective in this game is to beat your opponent by slinging the right Clones toward your opponent’s tower, making good use of timing and strategy, as well as combos which you can string together by launching one Clone after the other. 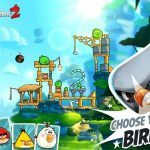 The game has a lot of Angry Birds influence to it, we’d say, but unlike in Rovio’s all-time classic franchise, you’ve got a wider variety of characters to work with (a total of 28 to collect on the most recent version), and your opponents aren’t AI-controlled Piggies and their miscellaneous fortresses, but rather human players with towers that look just like yours, with the same choice of Clones as you do, albeit with a chance they’ve unlocked Clones you haven’t, and vice versa. Last time, we provided you a beginner’s guide to the game that talked you through the fundamentals of the one-on-one matchups, or brawls, that take place in the various worlds this title has to offer. We shall now be moving on to even more tips in this Badland Brawl strategy guide, as we now bring you some strategies you can use if you’ve been playing the game for at least a couple of days and have familiarized yourself with the basic mechanics and brawl structure. Our advice to Badland Brawl players to know their Clones was the very first tip in the beginner’s guide. Likewise, we’re prefacing our intermediate/advanced guide in the same way, but this time we’re going to focus on knowing your clones even more, now that you should be aware that it’s important to view each clone’s profile, check their stats, and see what they’re capable and incapable of doing. Each Clone in the game belongs to a specific rarity tier, with the basic, common ones with blue cards and designated as “Primal.” These represent the simplest “tools” you have at your disposal, with each of them performing simple tasks and dealing out solid, but generally unspectacular damage to enemy towers. Next up on the rarity tiering system are your Evolved Clones, which are the ones with orange cards, followed by Mythical Clones, which have purple cards and represent your most powerful Clones in your roster. Take note that once you reach the point where your Clones will mostly be in the Evolved and Mythical tier, you may likely need some Primal ones in your party of eight. For example, that Blast Rocket can come in handy when you need to launch another Clone straight into the enemy tower for an immediate impact! Additionally, you’ll also need to take note of your Clones’ types, which include Flying, Walking, and Projectile. These are all self-explanatory, and each of these types have their own similar, yet ultimately different sets of stats, which we shall be moving on to next. Talking about the individual stats of each Clone, a lot of them are self-explanatory. But we might as well break the most important ones down, and delve deeper into what they mean for you whenever you launch them. There are other stats that may apply to one Clone or another, but the ones we mentioned are the ones you should generally be looking at when determining which units you want to include in your party. See the circle in the top middle portion of the screen whenever you’re brawling with an opponent? That’s the Supernatural event, and the first one you’ll unlock in the game is Mini Bombs, which consists of several tiny bombs with yellow lines on them. This means that the bombs could either explode in the enemy tower or in YOUR own tower, so if you want to make the most out of the Supernatural events, you’ll need to get whatever Clone is featured driven toward the enemy tower in one way or another. These events are game-changers, though the question here is whether it’s going to change the game for you or your opponent! In order to trigger the Supernatural event, you’ll need to successfully launch enough clones toward the enemy tower until the circle fills up completely. Be prepared for it, because once again, it could be a make-or-break situation for you, especially in the final minute or so of a brawl. When it comes to the brawls in Badland Brawl, anything can happen. Remember that you’re engaging in battles with human-controlled enemies, not your typical garden-variety AI enemies whom you can figure out in a snap. (It’s in practice mode where you face up against the AI, and believe us, it’s pretty easy to win.) But what would be the best thing to do in general when trying to get off to a strong start? Based on the brawls we’ve taken part in thus far, launching the Bomb Drone early on seems to help, as it takes out a huge chunk of the enemy tower’s health. As it can get pushed back to your tower by just about any projectile launched from the enemy side, it’s usually a good idea to aim high, instead of launching it toward the middle. A lot of players also tend to start out with Big Smith, which is also a sound strategy — Big Smith is the closest Clone you have to a true “tank” type, as he has a lot of hit points on him, and doesn’t get pushed back easily. Of course, you’ll have to guard against the possibility of another Big Smith coming from your opponent’s end, and that could spell trouble for you if he’s at a higher level than yours. Don’t rely on the Plain Bomb/Blast Rocket combo too much, unless those are the Clones that are immediately available, with Big Smith and the Bomb Drone still unavailable; far too often, Plain Bombs can get pushed back by other ground-based enemy Clones. We’ve also seen a lot of players use Bomb Spider in the early stages of the brawl. Watch out for this creature, who moves straight to the enemy tower, picking up speed as he gets closer. If you’re not quick enough, the Bomb Spider could take a huge chunk out of your tower’s HP once he gets there and self-destructs! 5. Which Clones Should You Replace First? At some point, you’ll need to send some of your Clones to the reserve list on the left side of the My Party screen, under “My Collection.” This becomes a necessity when you unlock heavy hitters such as the Bomb Drone and Bomb Spider. Normally, we’d recommend putting the following Clones on reserve before the others — Rogue and the Doggos. The former may be described as “small, agile, and sharp” and can deal out a lot of clone damage, but she’s just too much of a hassle to launch, and lacks range to get to the enemy tower without the help of a Blast Rocket. As for the Doggos, they may be as cute as their name sounds, but they have very low HP, and don’t do a lot of Tower or Clone Damage. They specialize in Stomp Damage, which affects enemies that the units land on, but to be honest, it won’t often matter as much as Tower and Clone Damage do. 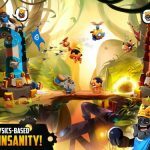 As you win more brawls in Badland Brawl, your Clones will accumulate trophies, and you may, at first, only be paying attention to the total number of trophies, which can be found on the top of your screen, and help the game make the right kind of matches by pairing you with a similar-strength opponent. But each Clone also has an individual trophy count, which you’ll see on the top part of their cards. 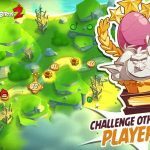 Be sure to pay attention to this trophy count, because if you reach certain milestones, such as 50 trophies, 100 trophies, and so on, you’ll earn gems and XP just like you do through your achievements. Moving on to the middle stages of the brawls, this is where you’ll need to come up with ways to remain on top, assuming you scored the first point, or come back from an early deficit. Usually at this point of the brawl, this is where the Plain Bomb/Blast Rocket combo or Big Smith come into play, as well as the Bouncy Bomb, assuming it’s unlocked. But if you’re dealing with a deficit, you can wait until a Bomb Drone becomes available; just make sure to aim it high, and to aim it at the right time so that it doesn’t get pushed back by opposing Clones. You can also use Big Smith’s hammer to bounce a Plain Bomb toward the enemy tower, either by launching Big Smith in such a way that he lands right before the bomb, or by launching the bomb so that it ends up right ahead of Big Smith. At this point, you should also be looking at how many hit points each tower (yours and your opponent’s) has before a floor is destroyed; if the enemy tower has less than 100 HP remaining, even those seemingly weak and pathetic Fire Birds could come in handy. Speaking of Fire Birds and their less powerful fellow projectiles, the Arrows, they should not be relied on in most situations to take out towers. As we mentioned above, the Fire Birds can quickly and efficiently destroy a floor if 100 HP or less are remaining, but otherwise, you should use them (and Arrows) to slow down or take out an enemy Clone, as their Clone Damage far outstrips their Tower Damage stats. Spiky and Blast Mine both deal out a ton of Clone Damage, and if you act quickly enough and aim them properly, you can take out a fast-moving Bomb Spider (or a slow-moving Big Smith) and save your tower all that damage. As for the ground-based bombs, you’ll usually need a Blast Rocket to propel it toward the enemy tower, as we’ve often mentioned in our guides thus far. When talking about achievements, we mentioned that social actions, such as receiving and donating Clones, are at the center of them, which makes joining a Tribe of paramount importance in Badland Brawl. These social actions also include the Friendly Brawl, which is simply a brawl pitting you against one of your fellow tribe members. Not only could this be a good way to get to know your fellow tribe members, it also fulfills one of the achievements in the game, so don’t hesitate to send an open challenge to your tribe by tapping on the crown-shaped button on the right side of the Tribe screen! Finally, we’re down to the closing stages of the brawls, which are definitely the most important. Probably the best thing we can advise you in the closing minute of the brawls is to keep your composure and avoid making rash decisions. This is something that had cost us several 2-1 leads, as our opponents’ heroics (and our tendency to launch Clones without giving much thought) led to a number of comeback victories on their side. Remember what we told you in the beginner’s guide — you have to act quickly, but you also have to think before you act. Don’t get rattled if the opponent ends up pushing back several of your Clones! It’s in the closing minute as well when the Supernatural event usually activates; as we had advised you earlier, your goal here is to get those seemingly neutral Clones as far away from your tower and as close to the enemy tower as possible. Either use a Blast Rocket or Big Smith on those neutral Clones to get the job done. If you’ve got a comfortable 2-0 lead, you should definitely be playing defensively, using Arrows or Fire Birds to neutralize your opponent’s Clones, especially the deadlier ones like the Bomb Spider and Bomb Drone. But if you’re trying to come from behind, your objective should be to string together some combos to deal out damage at a faster pace. Your Doggos, should you still have them, can push a slow-moving Bomb Drone closer to the enemy tower, and if you have a Bomb Spider on cue, go ahead and launch it, even without an extra push coming from one of your other Clones.